Participants of the contest: everyone registered on the website of the International Association «VATIKAM». Contest start date: March 1, 2017. Work submission end date: April 26, 2017. Voting end date: April 26, 2017. Result announcement date: April 27, 2017. The new contest of the International Association VATIKAM is dedicated to the bicentennial anniversary since the birth of Ivan Aivazovsky. The famous marine painter has created more than 6,000 paintings. His seascapes – is the hymn to the sea and the sea element, and the manner of painting is original and unique. Nobody before him could not portray so realistically and tangibly the play of water and light, clear sea air. The creative work of Ivan Konstantinovich Aivazovsky is not only seascapes, but also battle scenes, oriental storylines, paintings on biblical themes, depictions of the events from the Armenian history. Friends, we invite artists to participate in our new contest, post your works in the nomination «Visual arts»! It is allowed to post a portfolio of works in other specializations. In this case, in the preface to the works explain why you believe your works fit the theme of the contest. The contest can admit one portfolio per each participant containing from three to seven works. After the completion of the contest «To the 200th anniversary since the birth of Ivan Aivazovsky» portfolios, specially created for this contest, continue to participate on the same basis in the main contest of the project VATIKAM «Best works of 2017». Winners are three participants whose portfolios got the maximum number of votes for the entire period of the contest. The winners of the contest will be awarded with honorary diplomas of first, second, third degrees from the International Association VATIKAM. The works of the winners will be posted on the main page of the website vatikam.com during 1 month. Friends, we invite artists to participate in our new contest! 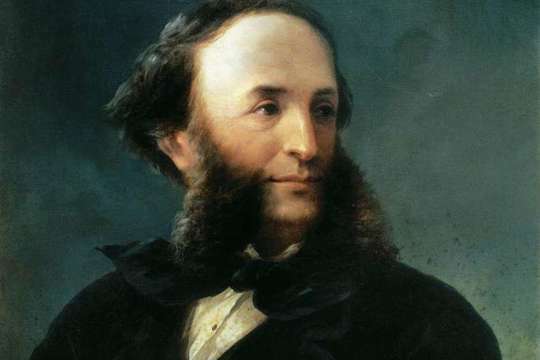 The results of the contest «To the 200th anniversary since the birth of Ivan Aivazovsky».